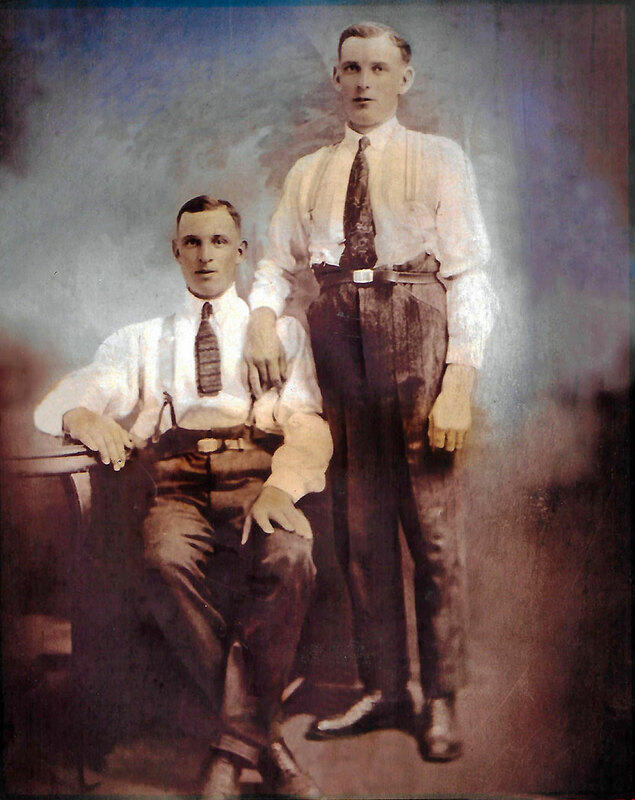 Ernest was born at Low Lee Farm in Sutton on 26 April 1895 to William and Mary Ann (nee Allen), the fifth of ten children (two died young, unfortunately). Around 1909-10 the family moved to Butterlands Farm in Wincle. In 1911 Ernest was working as a farm labourer for the Nield family in Macclesfield Forest. It seems Ernest must have enlisted quite early for he arrived in France on 28 June 1915 as private no. 2782 in the Nottinghamshire & Derbyshire Regiment. We have found no further details of his service save that he was discharged in February 1919, returning to Butterlands. He did however talk a little about the war many years afterwards to his son; he said he had been at Vimy, Ypres and the Somme. He was awarded the 1914-15 Star as well as the British War and Victory Medals. 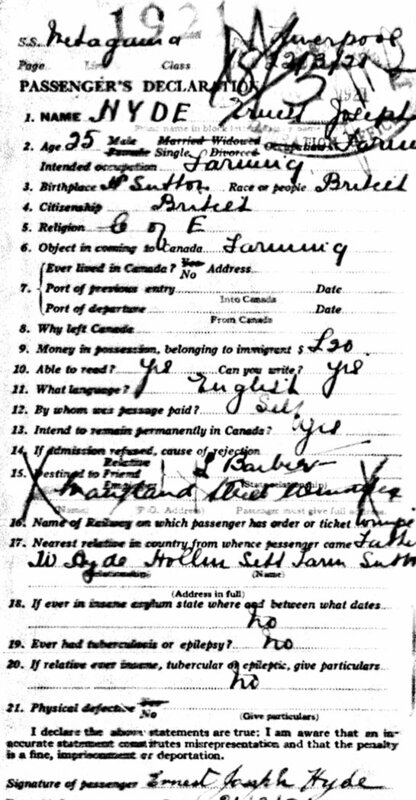 In April 1921, by which time his parents had moved back to Sutton, at Hollin Sett Farm, he and one of his elder brothers, Bill, emigrated to Canada. They sailed from Liverpool to Quebec with the objective of continuing to farm. They joined a friend, S Barber, in Winnipeg and worked for other farmers before getting their own large farm where they stayed until the late 1940s. 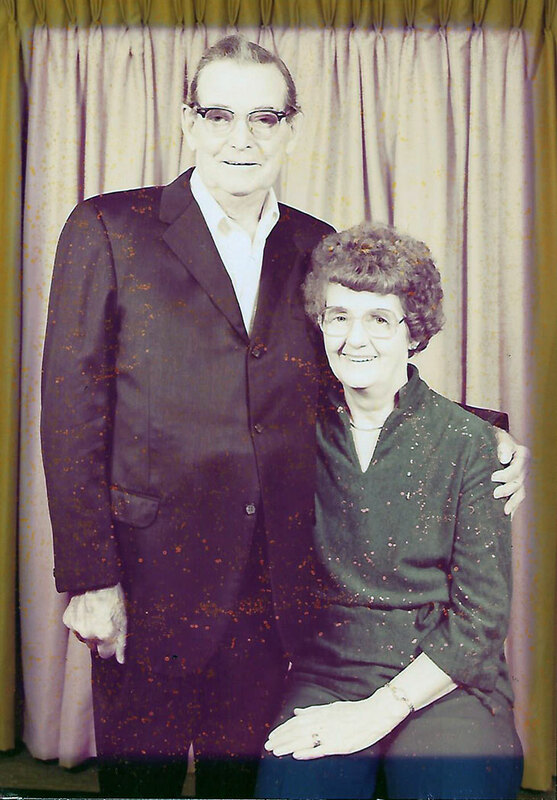 He then moved to British Columbia in about 1950 and met and married Alice Bean. He worked with Alice’s brother, Bill, on a farm in Maple Ridge B.C. and had two children, Joe and Lynda. In 1962 he and Alice bought a five acre hobby farm and retired there until he passed away on 19 December 1981. Ernest’s brother Leonard also appears on the Wincle Memorial. Their brother Arthur was also called up but applied for exemption and was successful in September 1917.